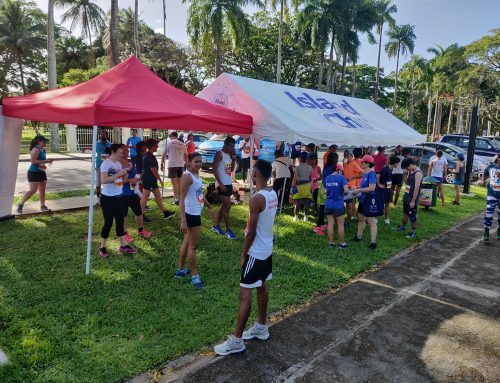 The SUVA10K Run is in a few days time, on Saturday 3rd November 2018, which aims to get as many people in Suva running and walking and living active, healthy lifestyles. We would like to challenge all our friends, family and local companies to join us at the Suva Marathon Club club’s last major event of 2018 – the SUVA10K Run on Saturday 3rd November 2018. For those of you that are regular runners there’s the individual (10 km) to challenge you to up your speed and distance. No need to register for this one JUST SHOW UP and collect a number. For those of you that haven’t been out there in a while,m this is the perfect opportunity to start with a jog/walk/run ensemble to get you out there and moving again with a great group of people encouraging you along. No need to register, JUST SHOW UP and collect a number. Prizes of SportsWorld Vouchers & Suva Marathon Club T-Shirts! A total of 30 prizes to be won!